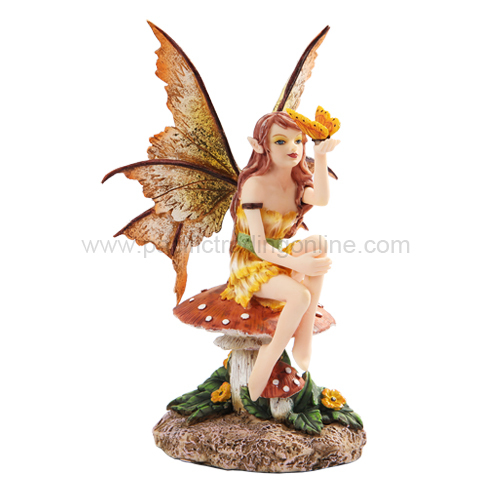 Fairies are fantasy spirits or beings that are sometimes considered bad or good. It is believed by many that these mythical creatures live somewhere between heaven and earth. We are about Fairies. We will discuss the origin, history, authors and whatever else you would like to talk about. Please HELP us build this site. This is an old site with new management, Please HELP! Any Ideas For New Pages? In addition there are other popular names, such as Elves, Leprechauns and Pixies. 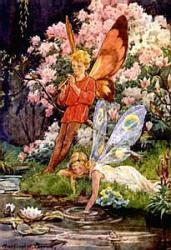 Plus there are many other names such as faeries, fey, fae, wee folk and more, used to describe these fantastic creatures. Not only these, but this site contains a great deal of information about a lot of other mythical creatures that might be a part of the fantasy fairy family. Since our site name is "www.all-about-fairies.com" we will start our discussion with Fairies. They might be thought of as small, feminine, very delicate creatures dressed in pastel or white cloths. 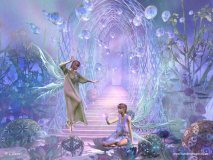 Fairies are human like mythical creatures that do manage to get involved in human lives, but always with good intentions. Folklore tells us that these beings are endowed with the powers of magic and enchantment. There are other names for members in this group such as faeries, fey or fae. "In an utilitarian age, of all other times, it is a matter of grave importance that fairytales should be respected." Fairy tales, or fairy stories, have fantasy creatures such as fairies, faeries,fey, pixies, elves, dragons, mermaids, leprechauns, dwarves, trolls, witches, giants, and talking animals. Enchantments and far-fetched events are also usually part of the these tales. Most start with a reference to time and place such as "Once upon a time in a place far away". Yes, both in a physical sense and a spiritual way, Yes They Are Real ! 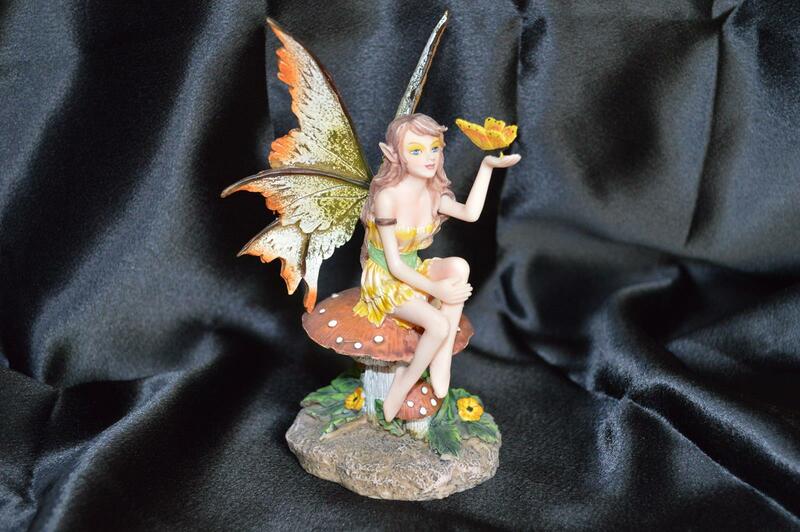 Pixies --- In folklore they are depicted as little people with wings, smaller than fairies. They do not get along together be cause of constant fighting over territories. Elves --- Sometimes called Elfs - They are very beautiful youthful looking men and women with great magical powers. They live underground or in caves in the forest. These are almost always near a well or spring. 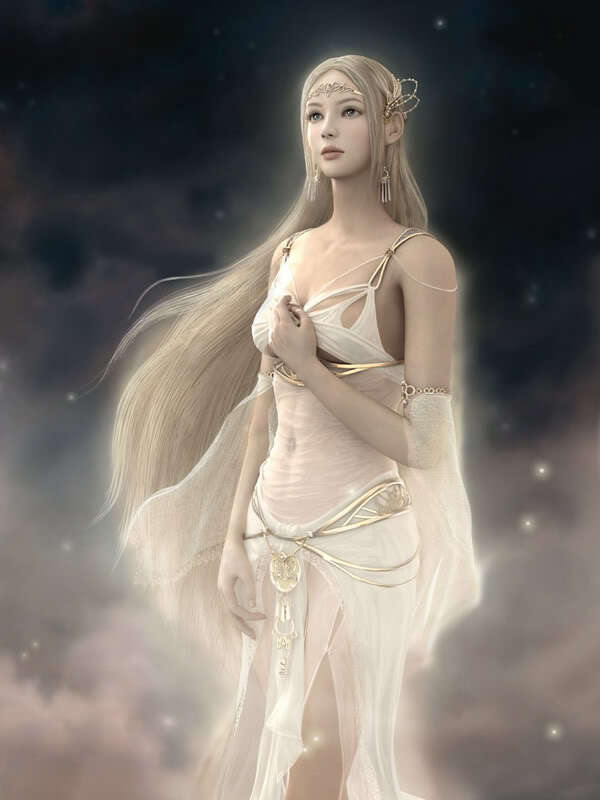 Elfs live a very long time and some are considered to be immortal. Dwarves --- A Dwarf is a magical creature that is associated with age and wisdom. Their pictures almost always are with beards. They have great knowledge, particularly of craftsmanship. Metallurgy is one of their great skills. They are said to have made some of the great artifacts of legend. Leprechauns--- Leprechauns are Irish mythical creatures that seem to be found only in Irish folklore. They are described as male faerie that appear as tiny, wizened-faced old men that inhabit the isle of Ireland. There are many leprechaun legends and leprechaun stories that come from the early 19th century. Are Leprechauns Real? Click here to find out. This groupe would include dragons, mermaids, unicorns, Pegasus and many others. These mythical creatures are a form of nature spirit, often described as metaphysical, supernatural or preternatural. Dragons --- In early cultures, Dragons, when they appear, seem to be created from parts of various creatures. Most images have eagle's feet and wings, lion's front paws, head of a snake, scales like a fish, giant horns and a alligator body and tail, which sometimes extended the whole length of the creature. Pictures of dragons are also very popular for doing drawings, especially pencil drawings . Young people may sit for hours doing a pencil drawing of these and other fantasy creatures. Click Here for more about Dragons. Mermaids--- Mermaids are legendary creatures that live in the sea and have the upper body and torso of a beautiful woman and the lower body of a fish. Mermaids are thought to be enchantresses who are capable of wooing men to their deaths through the sound of their songs. 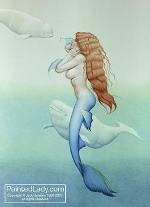 The term "Sea Sirens" or "Sirens mythological creatures" is sometimes used instead of mermaids. This occurs often in Greek mythology. Are Mermaids Real? Click here to find out. 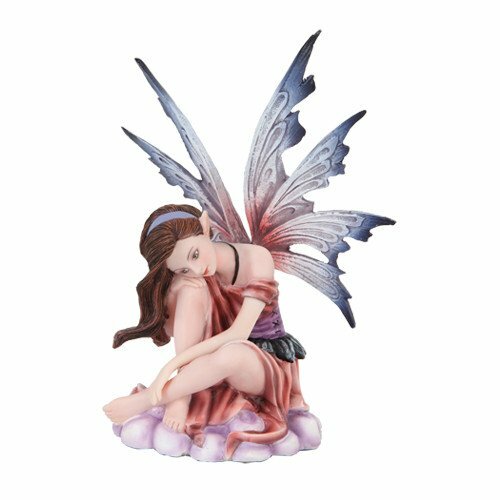 What do you think of fairies and other fantasy creatures? Tell Us! Send Pictures, write stories, ask questions, let us know what you think!